Know someone who struggles with technology? We can help with anything from using a mouse and keyboard to accessing Universal Credit, job searches, internet banking and general help with your own device. We currently provide several FREE drop-in sessions in libraries and other venues across Neath Port Talbot. Pop over to us for some exclusive help! Then… you could already be a Digital Champion. Come along to one of our FREE sessions and have a go at our Digital Champion course. If you already have basic computer skills, that is already enough to teach the less fortunate! Already have a lot of computer skills? Great! We welcome all skill ranges. If you have some spare time and want to improve your own skills, why not volunteer at one of our sessions? The Get NPT Online initiative was set up by then Communities First, Melincryddan Community Conference, Tai Tarian and Coastal Housing. It has since grown and developed and is now also represented by Age Connects, NPTCVS, NPTCBC, Jobcentre Plus, Digital Communities Wales, Wales Co-operative Centre and many more. Get NPT Online aims to increase awareness around digital exclusion in our communities by providing IT services/help to the people that need them the most. 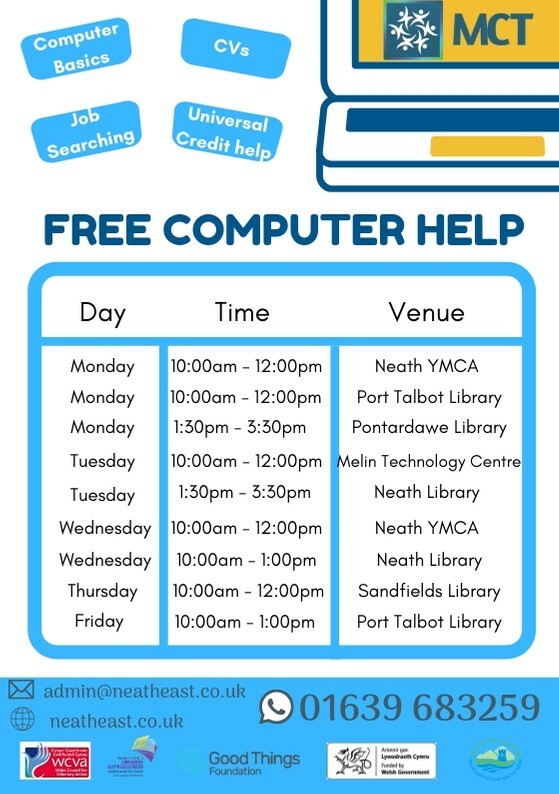 We serve Get NPT Online by providing free IT support in libraries across Neath Port Talbot.